RAF AIRCRAFT SHOWCASED AT RAF COSFORD AIR SHOW MEDIA LAUNCH - Military Airshows News & Press Releases. Today's Media Launch of the RAF Cosford Air Show 2019 revealed further details of this spectacular annual event. The Air Show organisers were excited to announce the iconic Chinook helicopter will be performing in the skies over Shropshire on Sunday 9th June, and the RAF Chinook Display Team was present at the Media Launch. Also on hand at the Media Launch, Flt Lt Jim Peterson from 29 Squadron talked about the Eurofighter Typhoon's display sequence, which he will be performing at the Air Showdemonstrating the aircraft's speed, agility and power. The primary focus of the RAF Cosford Air Show is to give visitors the opportunity to engage with the Royal Air Force, and to better understand the work they do, not only in the West Midlands and the United Kingdom, but across the world. Air Show Chairman Wing Commander Jamie Thompson, said "RAF Cosford Air Show is a fantastic opportunity for the public to see what goes on behind the scenes on an operational Royal Air Force base. 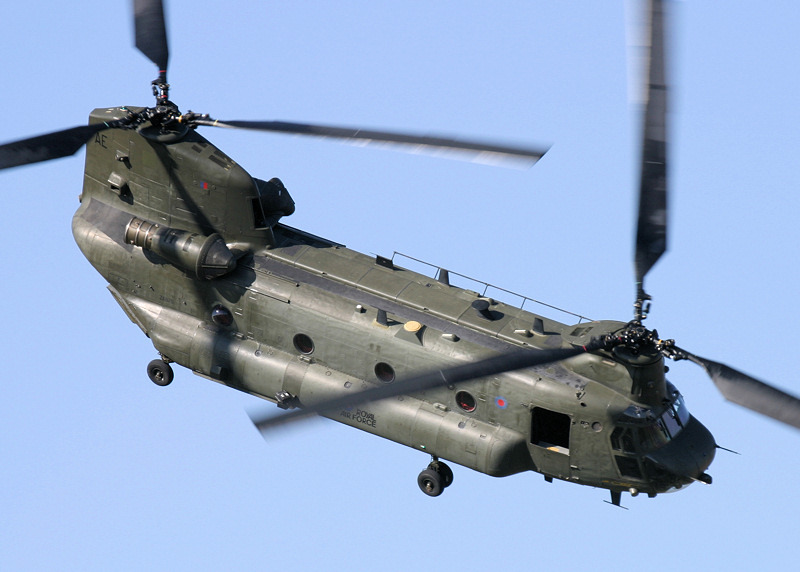 We are delighted that the Chinook Display Team will be joining us as it is a great addition to the Air Show line-up."